Dave Mansfield practices as an outpatient Orthopedics Physical Therapist in Southeastern Massachusetts with a specialty in Sports Medicine. He is also a strength and conditioning coach (CSCS through the NSCA) and a Health and Fitness Specialist (ACSM). He has written a number if training and injury prevention journal articles over the years, as well. . 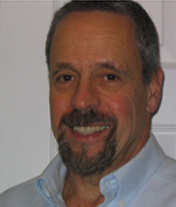 In addition, Dave is a Graston Technique certified clinician and is an Instructor for Graston Technique. Powerlifting has been a passion for many years with a number of American, National and World Master’s records to his credit with several federations. Dedication to the BIG IRON Powerlifting Team from East Bridgewater, Massachusetts which continues to send lifters to compete at local, regional, National and World events gets him up and out to the gym in the early morning hours. In addition, Big Iron Fitness & Rehab. LLC partners with the Bay State Athletic Club to sponsor promote and organize many meets in the Northeast and as far South as Virginia (in partnership with Virginia Powerlifting) as well as ADFPF National and WDFPF World competitions. Dave is an International Level Official with the WDFPF (as well as with a number of other organizations) and serves on the substance testing and enforcement committee with the WDFPF. When asked about the whys and wherefores of his interest in the sport of powerlifting Dave will say that goal setting, organizing training sessions and cycles and periodizing training for injury prevention and competition success give him a sense of accomplishment, and seeing his training partners succeed and bringing new lifters into the “fold” is reward enough. Behind all that, the real truth is: “I love to train with weights, and always have, ever since my folks told me way back when I was in Junior High that “weight lifting will stunt your growth”. Being of a contrary and competitive nature he moved on to success in football, track and field, later racquetball and softball but always sought refuge and satisfaction with the weights, and so eventually to a passion for Powerlifting. A great deal of that success has been realized through and with the support of “my beautiful wife Ramona, who plans most of the trips, helps with whatever needs doing, consoles me on the bad days, and celebrates the good…but mostly keeps life’s perspectives adjusted”. “Growing the ADFPF and providing our lifters with quality venues, consistent officiating, and robust and fair competitions where they are able to test themselves against their peers at Local, National and World meets are my goals for and reason for my involvement with The Federation”.